A while back I told ya'll about ASIFA-EAST President for Life and sooper author David Levy's upcoming new book. At least the parts I've read so far... which were mostly the parts about me. I'm particularly proud that I didn't say anything TOO stoopid. 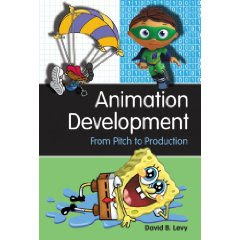 I also made sure to chekc out some of the quotes and passages from other big shots Mr. Levy interviewed-- Craig McCracken, Jackson Publick, Mo Willems, Linda Simensky, Stephen Hillenburg, Los Brothers Krause, and sooooooo many more! And it was kind of annoying because I spent an inordinate amount of time thinking, "UGH-- I wish I said THAT!" Still... I need to read this WHOLE THING and so do you. So why dontcha pre-order one right now? C'mon... it's not like you know everything about pitching shows, do ya? 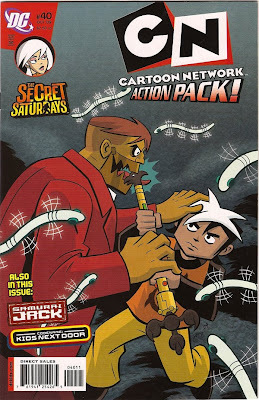 Hey Cartoon Network Action Pack fans-- Issue #40 is on the stands NOW! 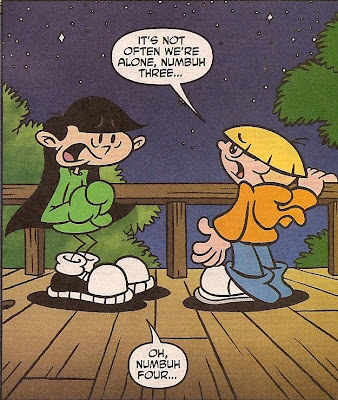 And if you like the idea of Numbuh Three and Four alone together in the Treehouse on a romantical moonlit night... I think you're gonna like this one! Could this be the night?! Or just another chance for Numbuh Four to be a jerk? Pick up your copy today so you can bask in the awesome art of Potent Penciller Maurice Fontenot and Inveterate Inker Rob 'The Iguana' Smith! Unfortunately they've long since passed on and could only be at the reunion in spirit. But there were hundreds of alumni and fans milling about the Paley Center, enjoying the rare HB artwork on display, catching up with old friends and co-workers, and filling their pockets with the passed hors doeuvres. Of course I had an awesome time hanging out with Mr. Maxwell Atoms, Greg Miller (Whatever Happened to Robot Jones), Chris Prynoski (Titmouse, Inc), character design rock star Chris Battle, old school New Yorker John McIntyre, the fabulous Jennifer Hale (aka Numbuh 86, the KND Treehouse Computer, amongst a billion other voices), the incomparable Dee Bradley Baker (voice of Numbuh Four), 'evil' executive Khaki Jones and jeez... just too many awesome folks I haven't seen in ages. 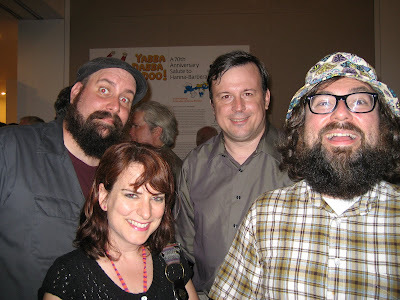 That's Titmouse founders Chris and Shannon Prynoski in the front there. 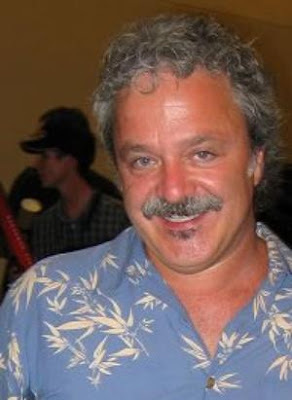 Don Watson again and Billy and Mandy creator Maxwell Atoms. 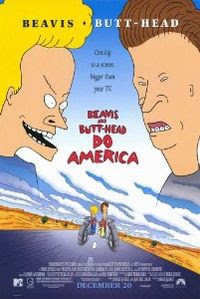 And on Friday night I made my way down to Santa Monica to a sooper special screening of Mike Judge's office space and Beavis and Butthead Do America! 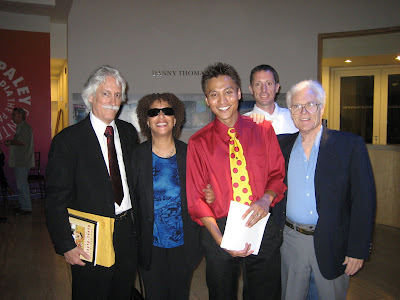 For those who don't know, I was the production designer on the first season of B and B when it was done at J.J. Sedelmaier Productions. 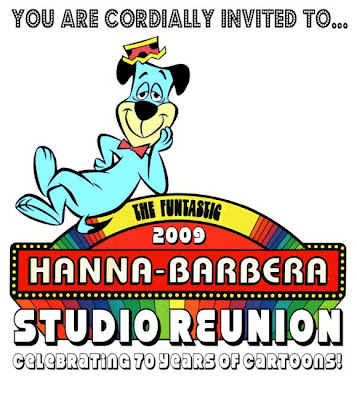 The rest of the series was done at MTV's brand new animation studio, but I stayed behind at JJSP to cause havoc there. 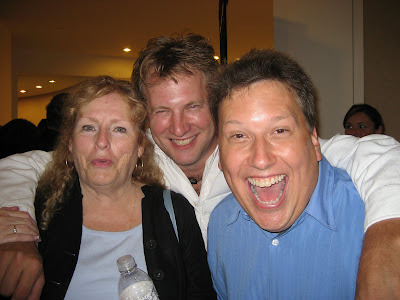 Still, I could often be found lurking about MTV visiting my sooper pals. And even though I didn't work on the movie, I felt almost like I did since I saw so much of it going on. It was definitely a blast from the past seeing it... and hard to believe its 10 years old. What made it extra special was the introduction by director Yvette Kaplan and Exec Producer John Andrews, two old school New Yorkers I hadn't seen in a long while. Like I said... great times. Imagine my thrill when the mailman comes and hands me a sooper-shiny-hot-off-the-press-brand-new-not-even-out-yet Elephant and Piggie book by Mr. Willems! Because usually Mo makes me beg to get his latest books. Sometimes he makes me do backflips. Or he has me bake him 1000 chocolate chip cookies-- and then decides he wants oatmeal instead. 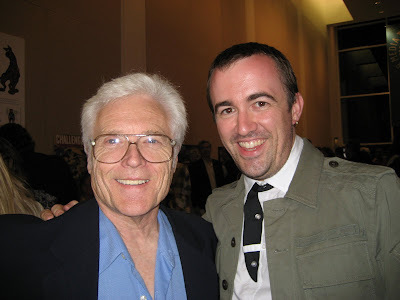 There was also the time he wanted to see how many naked mole rats I could fit in my underpants (less than you think). But you know something? It's all TOTALLY worth it. 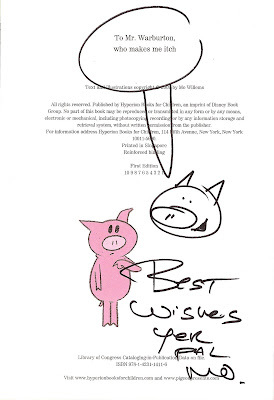 Because in return for all the backflippin', cookie bakin', scratchy pants craziness I get a signed copy of Mo's books. Talk about being HONORED beyond all honorifficality. But now I'm afraid to answer the phone for fear its Mo asking for another 'favor'. I have a feeling it has something to do with that 'itchy' comment. Wow! Just read an AWESOME review of 1000 Times No in the Boston Globe! “1000 Times No’’ is Warburton’s first children’s book, but one hopes it will not be his last. Picture books live somewhere between the speed of a poem and a painting, yet possess all the seeming power of a novel - often within fewer than 100 words, and Warburton gets it just right. 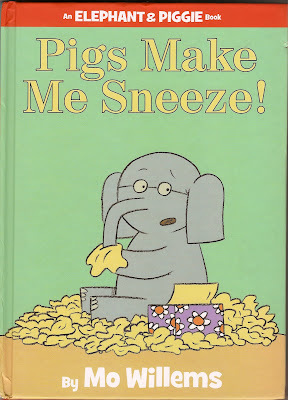 The baby has a rubber face and body a la Mo Willems, and Warburton’s confident use of the cartoony line lends charm and dynamic movement to the book. Any child still young enough to have a meltdown will cherish the wild humor of this book. Read the rest of the wonderfully wonderful review HERE! Waaaaaaaaaay back when I was a scrawny, zitty, shy teenager, I used to go to a little mini comic convention in Valley Forge, PA to pick up back issues of The Uncanny X-Men, Daredevil, Alien Legion and stuff like that. It was an exciting place... comics weren't as mainstream as they are nowadays and my parents didn't exactly approve so it had a kinda subversive feeling. And there was always cool new stuff to see. And one of the most important things I ever saw in my life was on a crappy little video player at a table in a remote corner of that convention. It was playing some animation that was absolutely beautiful, and absolutely unintelligible-- at least to me since I didn't understand a syllable of Japanese. There were no subtitles, the transfer was lousy, and I no idea what was happening but I couldn't pull myself away from it. Regardless, I bought it and watched it over and over and over again. I watched it frame by frame (at least as frame by frame as a VHS player could go), I made up stories as to what I thought was happening in the film, I figured out little bits of Japanese by sheer guesswork. That film was called Laputa, Castle in the Sky and was my introduction to anime, something that at the time, was just starting to trickle into the US. And it made me want more. I tracked down anime fan mags (Protoculture Addict, Animag, etc) that gave synopses of the movies I bought. Remember... this was before the internet made finding stuff easy so it took some real digging through phone books to find weird little Japanese books stores. Anyway, very few films stood up to that first one I bought, but I loved a lot of 'em just the same-- Macross: Love Do You Remember, Black Magic M-66, Appleseed... what a cool new world! So now, as I'm getting my office set up at my new home, I started choosing artwork to hang on the walls. 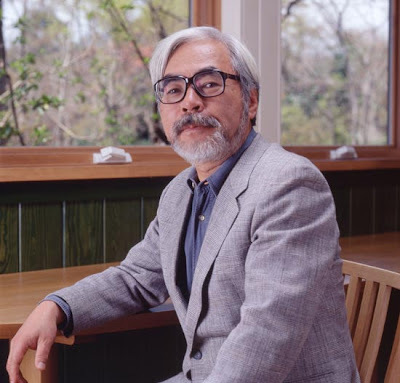 And of course, I can't NOT hang up the Miyazaki cels I've picked up over the years. From My Neighbor Totoro. I would buy a cel of Totoro himself but I've never had eleventy thousand dollars to spend on one. The next three are from another of my favorite films, Kurenai No Buta or The Crimson Pig or Porco Rosso. And this one's just awesome for it's sheer smushiness. I actually bought this one so I could study the water effects on the cel. And because it was cool. Again, I've always wanted a really great shot of Kiki on her broom but have had to settle for this little one. BITE SIZE CHUNKS OF NO! No... that wasn't the name of my band in high school (but I wish it was). 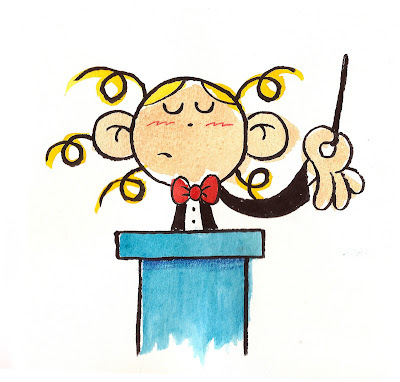 "A truly entertaining book to read aloud and share with the naysayer in your life." The rest of the review is hiding behind this word right HERE! "This cute and simple story evokes the frustration of a parent when they are up against the unfailing determination of a child who doesn’t want to do something. The outcome will provide a good belly laugh for all, and the opportunity to experience the down side of negativity." For more of that kinda stuff you can go over HERE. "...here’s a book to enlighten the little one on a very popular word used by them. 1000 Times NO, by Tom Warburton, brings out this negative in many different languages and messages". "It is an amusing and straightforward story of a toddler who wants to make himself absolutely understood by declaring "no" not once, not twice, but 1000 times in 1000 different ways." You know the drill... more over HERE. And while this last one isn't quite a review, someone named Sue Hodaras used one of the pages from 1000 Times No to illustrate a blog post on the power of NO right over HERE! Mighty tasty chunks, wouldn't ya say? One of my sooper pals from college e-mailed me a short while ago to tell me that he was at the Jersey shore enjoying some delicious beverages at a friend's house. When he asked for a lime in his drink, the friend went into the fridge and pulled out a baggie chock full of the citrusy slices-- and who was on the baggie? Yup... everyone's favorite battlers of adult tyranny! I made sure to buy up a ton of these so I'd never run out of awesome baggies! I don't think they're making them anymore but I still see them on the shelves occasionally and always buy more. What's really cool about this is that Power Puff and Dexter were the shows I loved most on Cartoon Network and the whole reason I wanted a show on the channel! And here are my kids 'sandwiched' between them! Did I just make that joke? And how can you NOT like a blog called Superdumb Supervillain that likes 1000 TIMES NO so much? I think it's the kind of funny that is actually smart in disguise: dude, there are hieroglyphs in there! Plenty of opportunities to discuss other cultures and how their toddlers are just as surly as Americans. Win-win! I dunno... maybe the blog should be called Superdumb Supervillain Super Great Taste in Books. Check out the rest of the review HERE! 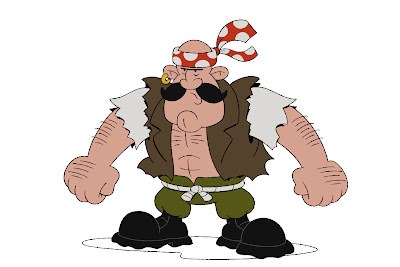 So even though he was in only one episode of Codename: Kids Next Door--- the muscle bound, English language mangling, former accountant turned legendary Tie Hunter Moosk seems to have a LOT of fans. 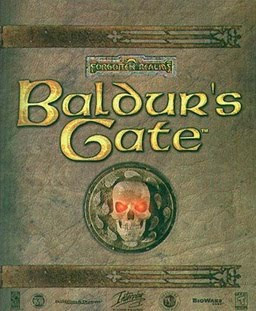 It is a COMPLETE COINCIDENCE that I played (and LOVED) all the Baldur's Gate games and that Moosk has slightly similar vocal styling, ramblings, and inane rants akin to the stylish, rambling, inanely ranting character Minsc. 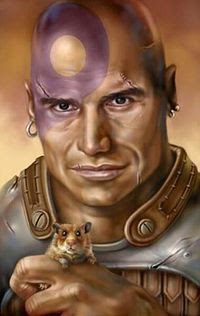 It's also a COMPLETE coincidence that the same voice actor (the inimitable Jim Cummings) played both Minsc and Moosk. Sure, they sound sooper kinda somewhat almost exactly a little alike. Maybe not a TOTAL coincidence. Anyway, for all you Minsc, I mean Moosk fans, he's making a comeback in the pages of Cartoon Network Action Pack real soon! 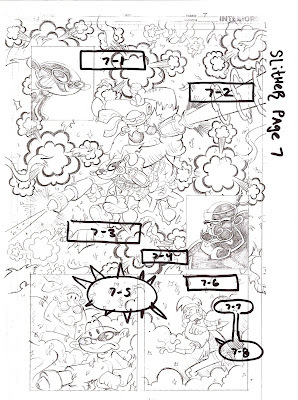 Check out this sooper coincidental sneak peek page by Power Tie Penciller Maurice Fontenot! And just so you know... this is the way I mark up Mr. Fontenot's pages so the letterer knows where to put all the dialogue from the script. 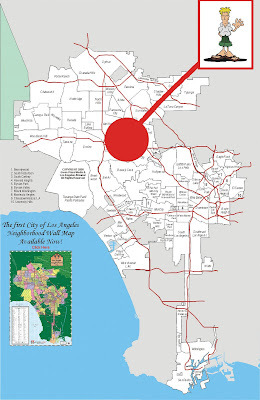 An official resident of Los Angeles. No more subways for me. I'm driving 'round town in my Honda Element (his name is Horton), having lots of meetings, catching up with all my old sooper pals who live here and trying to figure out just where to stuff those last boxes of things you're not quite sure what to do with after a big move. The weather, of course, rocks and I make sure to sit out on the patio every night and take it all in. Folks say it's hot here... but it ain't hot like the wet-wool-sweater-thrown-in-your-face humidity of the East Coast. So they should get over it and enjoy. It's a weird feeling being here. So familiar since I've spent a lot of time in LA already. It feels like a bit of a vacation. Like I'll be heading 'home' any day now. But now cold represents LA.